Dr. Gangrene's Mad Blog: Happy birthday to Classic Horror Icons - Cushing, Lee & Price! Happy birthday to Classic Horror Icons - Cushing, Lee & Price! 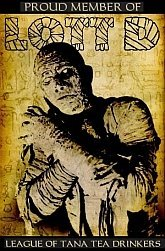 The two day span of May 26-May 27th were an influential one for classic horror fans. 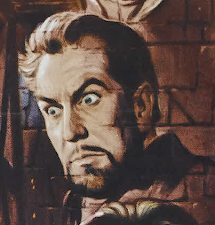 May 26th marks the birthday of Peter Cushing, and May 27th is the birthday of both Vincent Price and Christopher Lee!! It's amazing to think all three of these performers were born within that two day span, albeit several years apart (Cushing 1913, Price 1911, and Lee 1922). 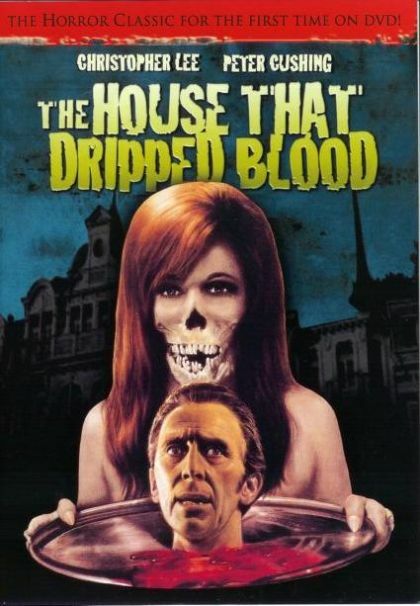 I had the pleasure of showing THE HOUSE THAT DRIPPED BLOOD not once but twice on my show, Creature Feature. It features both Cushing and Lee - and best of all, I was able to air it on May 27th, so it actually was on the air during Lee's birthday. very cool! What would have been even cooler is if I could have shown House of Long Shadows or Scream and Scream Again, both films that have all three of these actors in them. I will keep my claws crossed that either of these show up on the station's movie list next quarter. 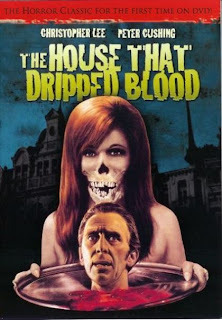 Here is the trailer for The House that Dripped Blood.It is a GREAT Amicus anthology featuring four short stories and a wrap around segment. Easily my favorite movie I've hosted on Creature Feature.